Sir Isaac Newton created the 'Universal Law of Gravity' inspired by a falling apple in 1665. 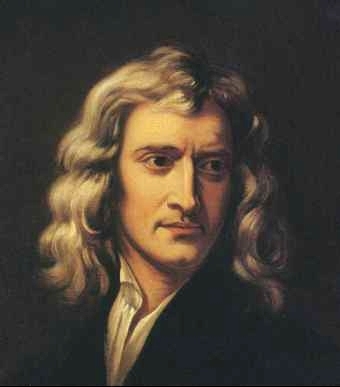 Isaac Newton was born in 1642 in a manor house in Lincolnshire, England. He was not interested in the family farm, so he was sent to Cambridge University to study. Isaac (1642 - 1727) was born just a short time after the death of Galileo, one of the greatest scientists of all time. Galileo had proved that the planets revolve around the sun, not the earth as people thought at the time. This led Newton to improve Telescopes. But no one had been able to explain why the planets stayed in their orbits. According to the well-known story, it was on seeing an apple fall in his orchard at some time during 1665 or 1666 that Newton conceived that the same force that acted on the apple also governed the motion of the Moon and planets. When he saw the apple fall, Newton began to think about a specific kind of motion—gravity. Newton understood that gravity was the force of attraction between two objects. He also understood that an object with more matter –mass- exerted the greater force, or pulled smaller object toward it. That meant that the large mass of the earth pulled objects toward it. That is why the apple fell down instead of up, and why people don’t float in the air. Isaac Newton explained the workings of the universe through mathematics. He formulated laws of motion and gravitation. These laws are math formulas that explain how objects move when a force acts on them. Isaac published his most famous book, Principia, in 1687 while he was a mathematics professor at Trinity College, Cambridge. Isaac explained three basic laws that govern the way objects move in his publication 'Philosophiæ Naturalis Principia Mathematica'. The First Law states that an object that is not being pushed or pulled by some force will stay still. The Second Law explains how a force acts on an object. An object accelerates in the direction the force is moving it. Newton is also credited with inventing the first known cat flap. While he was in his attic trying to conduct light experiments, his cat kept nudging the door open and letting the light in, spoiling his experiments, so he cut a hole in the door so that his cat could come and go as he pleased.